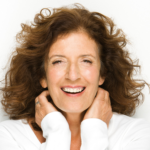 Anita Roddick was a British businesswoman, human rights activist and environmental campaigner, best known as the founder of The Body Shop, a cosmetics company producing and retailing natural beauty products that shaped ethical consumerism. The company was one of the first to prohibit the use of ingredients tested on animals and one of the first to promote fair trade with developing countries. "Years ago nobody was elected on the economic ticket. It was either the education platform, or it was health or it was other issues. It is only recently that economic values have superceded every other human value." "Since the governments are in the pockets of businesses, who’s going to control this most powerful institution? Business is more powerful than politics, and it’s more powerful than religion. So it’s going to have to be the vigilante consumer." "There is no scientific answer for success. You can’t define it. You’ve simply got to live it and do it." "All through history, there have always been movements where business was not just about the accumulation of proceeds but also for the public good." "But if you can create an honorable livelihood, where you take your skills and use them and you earn a living from it, it gives you a sense of freedom and allows you to balance your life the way you want." "The Body Shop Foundation is run by our staff and supports social activism and environmental activism. We don’t tend to support big agencies."